This is a beautiful non-excavated coat size Rhode Island state seal staff officer button. This one has the state seal of the great state of Rhode Island on the face. 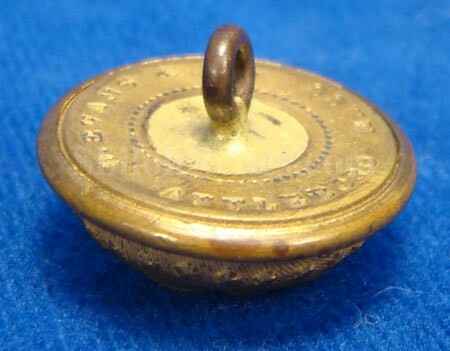 The anchor is in the center of the button with the word "HOPE” across the top. It has a fine amount of the original gold remaining on the face and that makes the detail stand out. The original back and shank are intact. 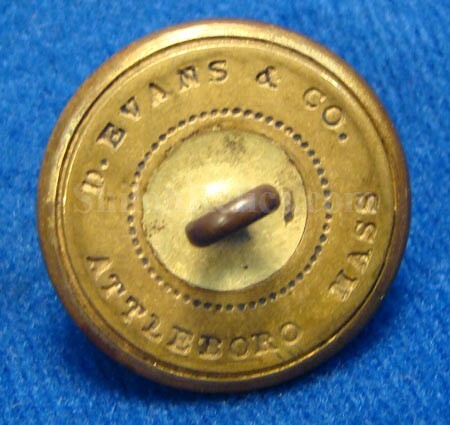 On the back of the button it has the correct Civil War era maker’s mark from the firm of D. Evansof Attleboro, Massachusetts. This is the style listed as RI7 in Albert’s button book and RI201 in Tice’s button book. 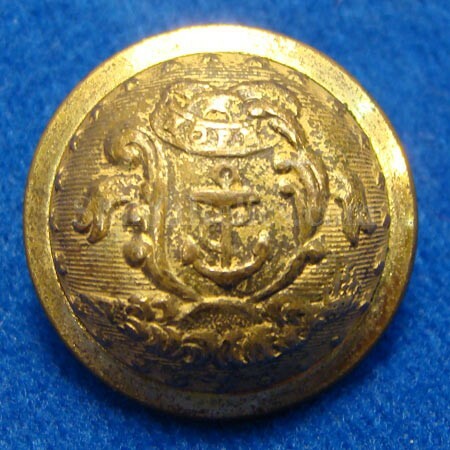 This is a superb non-dug original Civil War Rhode Island Uniform button.